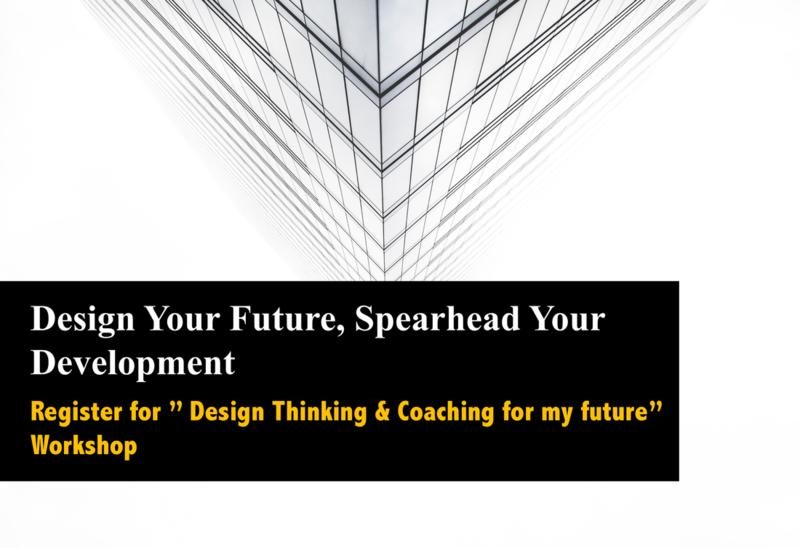 Workshop: "design thinking & coaching for my future"
Everything begins with an end in mind. To keep up with digital transformation, a change in thought to develop ourselves into thinkers who can develop new, innovative solutions to the problem at hand is necessary. Design thinking offers a systematic process of thinking that will allow anyone to be creative by following its process. One of the biggest problems that we as individuals face is to determine what our future will look like, how we want to live it and what solutions do we have to come up with to achieve it. Instead of looking at the problem in the traditional manner, in this workshop, we merge design thinking together with personal development. With design thinking as the framework, this workshop will help you to utilize the design thinking process to create solutions and strategies to prepare for your future. You will walk away with the ability to understand the design thinking framework, with a broadened perspective and an action plan on what you will need to start doing to create your future. Apply design thinking concepts to your present state. Throughout the session, an assigned coach will be present to help you with the process of crafting your future. After the session, your assigned coach will hold a one to one 30-minute phone consultation with you.